This course introduces participants to the concept of the quality of the power the distribution company delivers to its customers. Power quality is defined by certain attributes, such as voltage within certain limits, continuity of service, lack of harmonics, and the like, with a focus on those attributes that are required by the customer. The causes of voltage and frequency deviations are detailed, including those originating with the power distributor and those that result from customer equipment operations. This course discusses how to mitigate many of these issues. 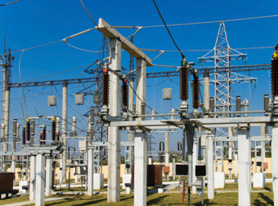 With the penetration of computerized control and electronic conversion of power between alternating current to direct current, power quality is a subject that all power distribution companies must address.